Project Overview: The Shine Project is a jewelry brand that employs and empowers inner city youth, based in Phoenix, Arizona. Encompassing brand values of strength, dignity, and faith, I created weekly inspirational images with hand-lettered quote overlays for usage on their social media platforms. I also created content and a tee-shirt for a special New Year's brand campaign about living life to it's fullest. 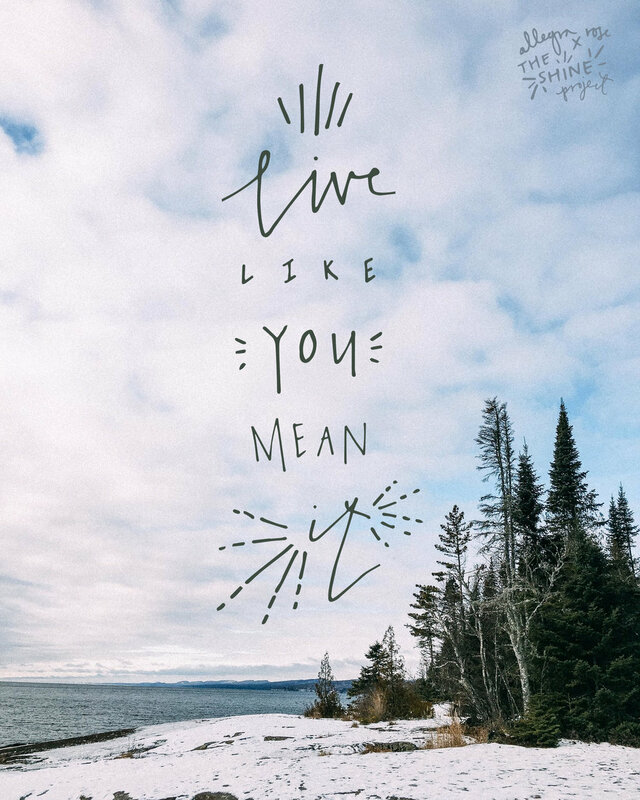 To #LiveLikeItMatters, and to #LiveLikeYouMeanIt, The Shine Project owner Ashley Lemieux inspires others, "To make choices, decisions, and to do things that bring the LIFE back into your life." Image via @theshineproject on Instagram. Discovery and Research: I start by sketching up different iterations of the weekly quote I receive from The Shine Project. Then, I go through my library of photos of nature, and pair the text with an image that expresses the meaning of the words through a visual representation. Here I have included sources of inspiration, from images used for The Shine Project marketing, to my own hand-lettering examples. Planning & Creative: Aside from these special campaign projects, the final solution of each week was to create designs that express the brand’s desire to spread joy and inspiration, which is reflected in the spirit of how their products are made. 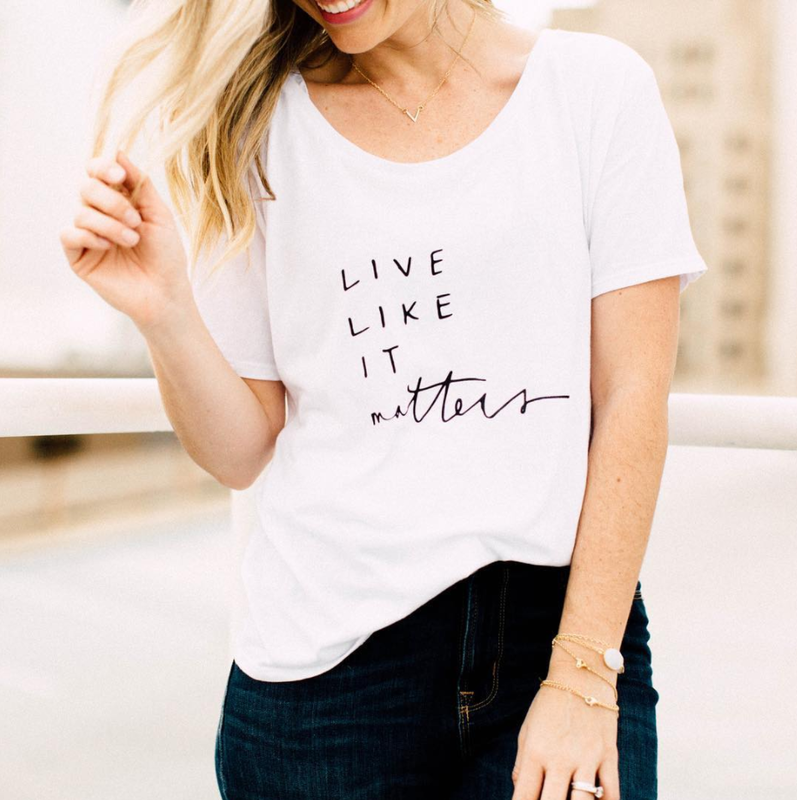 The hand-lettering designs would mainly exist on the brand’s Instagram platform, while the tee-shirt could be worn by girls of any and all ages. Project Overview: Created postcards using work by photographer Kyle Meck in collaboration with paper products from Artifact Uprising. I combined hand-lettering with photography to create iterations of “hello” and “hey” greeting cards, that communicated a sense of adventure. Discovery and Research: The goal for the project is to create typography solutions to mimic the feeling of the photograph, in the forms of the word, “hello.” The tone should be adventurous and friendly. Here I have included sources of inspiration, from the Artifact Uprising brand, to Kyle Meck’s work, to my own hand-lettering.